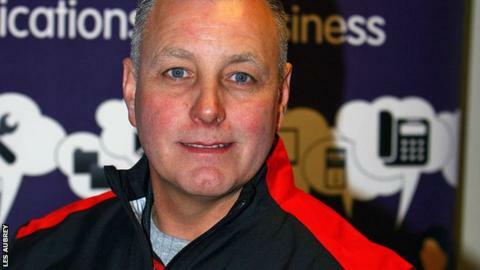 Swindon Robins boss Alun Rossiter said his side were too slow off the start in their home Elite League play-off semi-final defeat by Coventry Bees. The hosts trailed by eight points going into the second leg and lost 50-45 on Monday, meaning the Bees progressed to the final 99-86 on aggregate. And Rossiter admits the visitors adapted better to the damp conditions at the Abbey Stadium. "The bottom line is we were out-gated," he told BBC Wiltshire. "I'm not criticising the track because people have put so much effort in to get this meeting on but it probably backfired against us. They made the starts and we didn't. "We knew that if the track was set up like we normally have it, we knew what we were going to do and what to expect. "But we were given some rain and we only had about an hour to get things in shape. It was a tough call for the guys." Swindon 45 (86): Peter Kildemand 12+1, Troy Batchelor 9+1, Nick Morris 7+1, Steve Worrall 7, Simon Gustafsson 6, Dakota North 4, Nathan Greaves 0. Coventry 50 (99): Kyle Howarth 13+1, Max Fricke 10+1, Chris Harris 7+1, James Sarjeant 7, Hans Andersen 6+1, Jason Garrity 4, Kenneth Hansen 3+1. Swindon were previously unbeaten at home since June and enjoyed an emphatic 60-31 victory over Coventry in their regular-season meeting earlier this month. But Rossiter, who won the title with the Bees in 2010 and with Swindon in 2012, conceded that the Robins were well beaten on Monday night. "I'm bitterly disappointed. We should have done better," added the Swindon boss. "The boys gave it their best and we can't ask for anymore. We have no complaints, we were beaten by a better side. "The 2014 win wasn't to be so we need to get back to the drawing board and see what we can put together for 2015."